We are grateful to all of our 2018 sponsors included on the poster below for commitments to date of $47,452.00 of our budget of $50,000.00. Your financial support makes possible this FREE Christmas party for the whole city (more than 10,000 people attend!). Truly, Christmas for the City would not happen without the heart and sweat equity of so many. While the vast majority of expenses for these events are absorbed through volunteer hours and individual donations, there are some larger, fixed costs for which we rely on the support of sponsors. As you plan your charitable contributions, would you consider making CFTC a part of your budget? Click on the SPONSORSHIP BROCHURE button below. 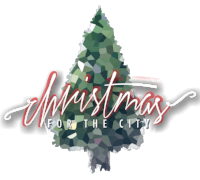 Or contact Chuck Spong directly if you would like to give to or sponsor this year’s CFTC and create a meaningful Christmas experience for our whole community: serve@loveoutloudws.com or (336) 747-3067. We are also grateful to all of our 2017 sponsors and partners whom we thanked the full-page ad below appearing in the Winston-Salem Journal on Sunday, December 24, 2017—a snapshot of the hundreds of organizations and individuals that make CFTC possible! Love Out Loud is an independent nonprofit 501(c)(3) organization. All donations are tax-deductible.